The debate on so-called “ATC privatization” is not a new one. A Google search of the phrase yields 171,000 results, many of them news articles going back more than a quarter century. AOPA, EAA, NBAA, and most other alphabet groups are pushing back against the most recent iteration of this idea, probably because of the current administration’s support for the concept and the feeling that unsteady funding from Congress is causing some people to take another look at it. I’m highly opposed to privatization for a number of reasons. In general, I prefer a competitive marketplace where possible, as this provides the best product at the lowest price for the consumer. But there are some areas where multiple vendors just aren’t an option. Air traffic control, it seems to me, is one of those. But I’ll leave the argument against ATC privatization to the pros. The folks at AOPA, EAA, etc. have articulated that far better than I ever could. What I’m concerned about right now is the patently false idea that air traffic control in this country is somehow mired in the 1960s. I’ve read recent articles from the Reason Foundation, Steve Forbes (who, as a major user of general aviation, ought to know better), the Orange County Register, and a number of other publications proffering this claim. It’s fake news – demonstrably false. Whoever peddles this stuff either has no idea what they’re talking about, or is intentionally putting forth a lie. I spend the early part of the 1980s living in Alaska, frequently hanging out at the Anchorage ARTCC because my cousin worked there. I used to take flight data progress strips off the huge dot matrix printers and put them in those little plastic holders and run them to the various sectors. I saw the vacuum tube powered computer equipment they were using. I flew with my cousin in those round gauge equipped airplanes, and marveled at the sophistication of Silver Crown avionics. Today? Visit any Center and you’ll find modern computers have replaced all that old stuff. From trainers to airliners, we’re flying almost exclusively based on satellite navigation. That didn’t even exist in the early 80s, let alone the 1960s! Our airways were defined solely by ground-based navaids. VOR navigation was a luxury, and NDB usage was ubiquitous. People were still flying around using four course ranges! Today, T and Q routes are rapidly supplanting the old stuff. When I’m up high enough to get over traffic, I will often be cleared direct from coast to coast. That would’ve been impossible in the 1960s. Does this look like 1960 to you? Our arrival and departure procedures are optimized for routing and traffic. We’ve got radius-to-fix segments on approaches, satellite overlays for many of the remaining ground-based procedures, and even GPS-based precision approaches which require almost no equipment beyond that which exists in orbit. As I understand it, air traffic control weather radar, to the extend they had it 50 years ago, was a marginal mish-mash of green shades providing information which was difficult to interpret and limited in scope. Today they’re using ASR and NEXRAD-derived WARP systems which provide infinitely better weather data to controllers and, by extension, aviators. Heck, over the past 20 years I’ve noticed the marked improvement in the way controllers are able to route traffic around weather. They aren’t doing that with divining rods. Back then, ATC’s radar network was limited and ground based. That system is being replaced by satellite-based ADS-B technology which provides better coverage, faster updates, and many other benefits – including traffic and weather data beamed directly into the cockpit. The list goes on and on. How about the ATC towers? We’re starting to utilize “remote” towers which don’t even require the physical presence of a controller at the airport. Would that have been possible in the 1960s? Of course not. Let’s talk about filing flight plans. In the 1960s, you had to physically go to an airport to visit a weather specialist to find out what Mother Nature was doing. Then you’d write out a flight plan by hand on a piece of paper and give it to the FSS specialist, who would do… well, something with it. Within a half hour, you might be able to obtain your clearance. That was pretty speedy for 1960! Today, you get all that information on a smartphone and can file a flight plan with that same app. I’ve seen a clearance show up within 30 seconds after filing. 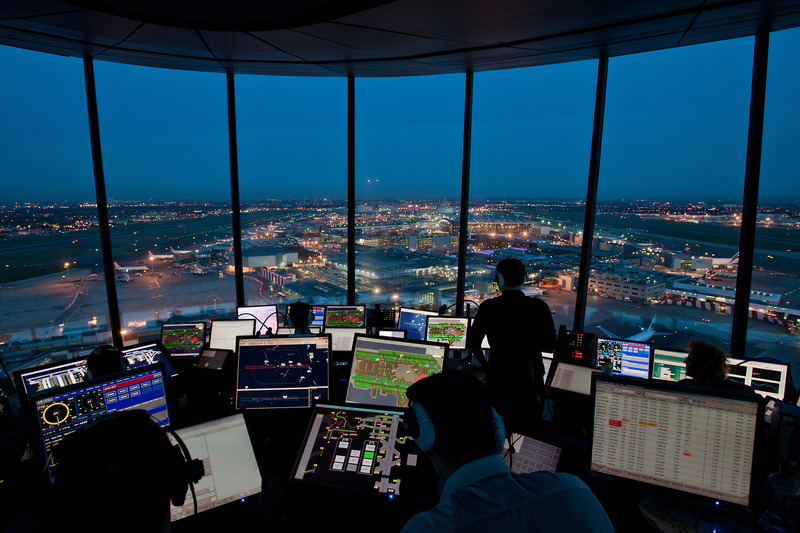 Part of that is due to the advance of computer technology, but a big piece of it is also the way our ATC system is able to interact with the modern internet. From NOTAM and weather dissemination to airspace design, virtually nothing of the old system is still in use. VHF voice communication represents one of the few exceptions, but even that is being supplanted, especially on oceanic routes. The bottom line here is that our air traffic control system is NOT stuck in the 1960s. Those who believe it is should talk to a few pilots and controllers. Sure, we have plenty of traffic delays in aviation. Much of that is due to weather – something no ATC “reform” is going to fix. The rest of the congestion is due to a lack of runway and airport capacity. Remember all those airports which were closed? They were called “relievers” for a reason. All those runway and airport expansion ideas which were quashed? You see the result every time you’re #10 in line for departure at a major airport. Equating delays with ATC is as illogical as claiming the freeways are congested because faded highway signage. If people want to support ATC “privatization”, I can respect that viewpoint. But letting hyperbole, sensationalism, and misinformation into the conversation serves us all poorly. If you want to look at facts — and I hope you do — then the answer is clear: America’s air traffic control system is the largest, safest, most efficient, and modern one on Earth. I appreciate your adamancy in destroying the idea that ATC is antiquated! What we really need to shorten lines at the airport is for everyone to learn to fly, and then build an airstrip in every neighborhood! 😀 But then we’d end up with lines there too . . . hmmmm. That was the dream at one point! Everybody would be a pilot and airports would be everywhere. Alas, the future is not turning out the way some folks thought it would. Boy, can you imagine what that would be like? If we had kept building airports and infrastructure instead of removing it? I’d like to think the GA world would have the critical mass to make serious investment in new technology (flying cars, etc) pan out. Most of your commentary is valid, but not all. The biggest “bang for the buck” in privatization would be the removal of the inane tendering process to get things moving. NextGen, ERAM, ATOP are already well behind the software in place in the rest of the modernized world and NextGen is not even built yet. Canada has left the US behind in terms of technology, SkyGuide is another frontrunner. But overall, delays are usually not as a result of ATC. However, advanced conflict prediction, better communication (CPDLC has been in use in Canada for years and still not used for enroute aircraft in the US), better automated tools on the glass, will all allow a more efficient use of airspace. Sounds like you know more about some of these details than I do! I can’t speak to the software, but regarding CPDLC adoption, it makes sense to me that Canada would beat us to the punch on that because they have much larger non-radar footprint than the United States. That’s where the technology first shines, and why it’s in heaviest use in oceanic airspace. Using airspace more efficiently is a good thing, but at the end of the day, if we don’t have the runway and airport infrastructure to support the traffic, it won’t make any difference because the aircraft are still going to stack up and create delays. Thanks for the great article; there is a pervasive #BigLie being promulgated. Incrementally ATC has become surprisingly functional and efficient (though hours spent on the “Alpha Pad” at KTEB could argue otherwise) We pilots quickly forget how many modern tech toys we have and use daily. I’ve visited the cockpits of some business jets and talked to pilots of some commercial, fractional, and charter ops and it’s the planes that don’t have modern avionics upgrades to use and take advantage of the technology available. It’s not upgraded because the owner / operator of the plane doesn’t want, or won’t afford, to upgrade. And the finger is pointed at antiquated ATC, when the real reason is the technology that isn’t in the plane. I guess that would depend on what technologies you were referring to. They all have TCAS, GPWS, GPS (and most have WAAS), glass, and so on. They certainly don’t all have the CPDLC and FANS stuff… but eventually economics will remove the older airframes from the fleet. Everything being produced today has that stuff built in from the start. These capabilities have been added over a period of time rather than all at once, and their adoption by aircraft owners follows the same trend. Whether or not the owner upgrades is dictated by the airspace requirements for the places they fly, the availability of the hardware and software upgrades for their model, and a calculation about a) whether or not the prices will decline, and b) how long they plan to own the aircraft. I am sure that you have many gripes in the US about the efficiency or lack thereof of the FAA, but when you compare it to Chile, which even I must say have made great strides in the last 5 years, we live in the stone age in comparison. Having to pay user fee’s for lights and ILS approaches is where a private system would go and I belive this is always going to impact safety at some point. There are probably greater reasons to have a private system in Chile, but it already is run just about by the airforce and airlines, so I don’t see that being an improvement. Thanks for the insight into Chilean general aviation and ATC, David. Your comments were more or less echoed to me by friends from a variety of countries who all wondered the same thing: why on Earth would the U.S. want to do this? The examples keep on coming. 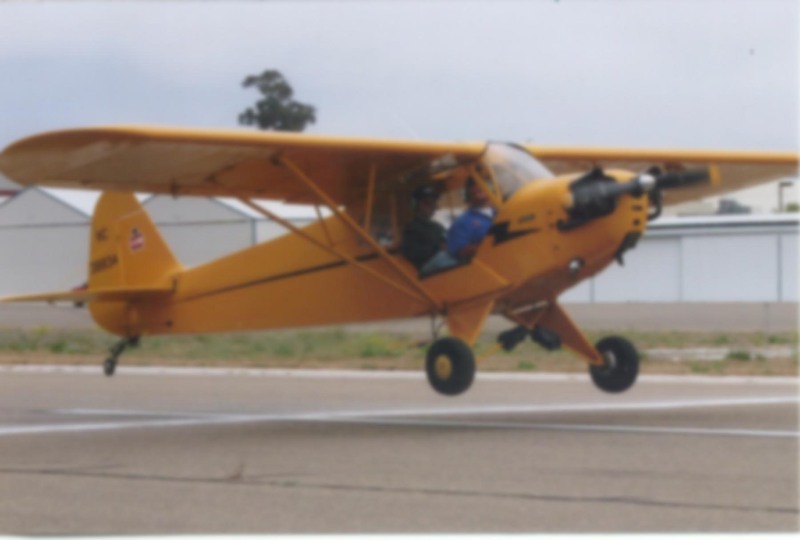 A friend from Japan just told me there is no allowance for aerobatics in his country; when he wants to fly aerobatics, he has to travel across the entire Pacific Ocean and do it in the U.S.
Ditto for a fellow pilot in South America, who said GA is simply not a consideration there. As a result it is exceedingly expensive and inefficient. He actually referred me to a post I wrote about it 2011. Erb said the change does not necessarily bring efficiency. “There’s no direct relation between a privatized and an efficient ATM [Air Traffic Management] system,” said Erb. He alluded to France, a country that has not yet “privatized” but is still better off than its European competitors. Erb also pointed out that Germany imposes fees on GA pilots, and it can take eight years to produce new instrument procedures at a German airport compared to just a few months in the United States. The ignorance of some of the “privatized ATC” proponents is unbelievable. The sad truth is that most of these proponents are flying a desk, and as a result they are perpetuating the old wives tale that the system is hopelessly stuck in the ’60s. They have not flown day in and day out in the system, utilizing all of the modern technology that you described so well above, and most like have never set foot into a tower/TRACON or a center. That’s why it’s upon us, the atc system users, to educate the public about which century the ATC actually is. Great article once again, thanks for your contributions to inform the readers. Ron, I was a controller at a major center in the 60’s and 70’s and went from handwriting every flight progress strip on the “A” side to working and learning the “new” IBM computer. Even with the computer…computerized radar screens, we still got the targets from 1940’s Air Defense Radar sites piped in on telephone lines across the desert and over the mountains! Sort of a new saddle on an old horse…it will not run faster! I have been out of that ATC business for … well a long time, but is the same “Radar Sites” still being used? I think that is what the privatize system would have to address. More “new radar and sites vs. the old stuff upgraded by the government that is primarily used for air defense and by the way ATC as a side note. Please correct me if I am wrong, but I just had to jump in here. I also started flying in the 1960’s. Worked and flew out of a FBO at Paine Field. They were the “High Tech” outfit at the time. Had a terminal where you entered your route of flight, 3 or 4 minutes later it showed up on the printer with the wx, etc. In the Navy we would go to Base Ops, file and get the WX on tissue paper printouts until the 1990’s, when I Retired. And I used to go to the FSS on cross counties flying private, to get fuel and updated NOTAMS, weather in the 1990’s. Also started using DUATS when it was introduced. What a experience. Everything right on the screen at home.